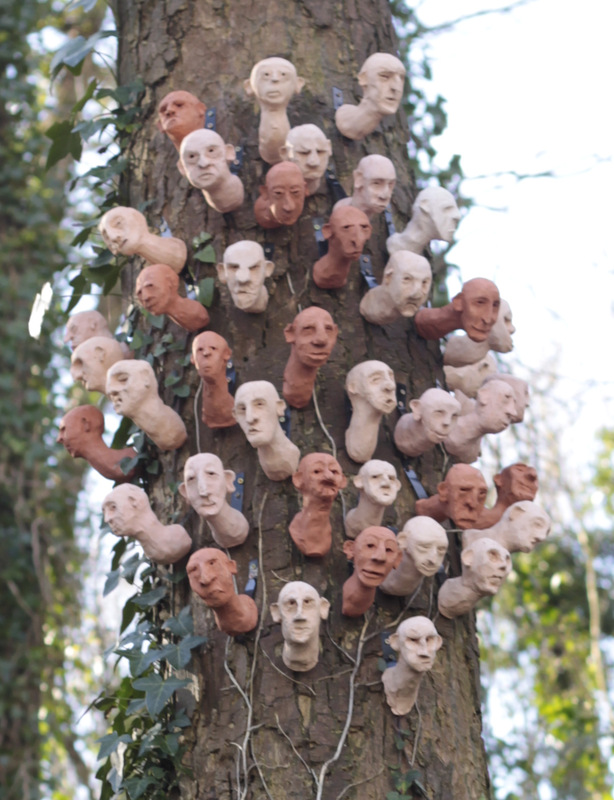 Trunkless heads on a headless trunk …. Out walking yesterday in Clevedon we saw this. Anyone know anything about it? Intriguing! Just goes to show how stimulating to mind and body walking can be. You never know what you’ll see or what new food for thought you will be gifted with. Plus physical benefits of improved strength and balance, while burning some calories and getting your heart and lungs working. Really, walking is The Thing! This entry was posted in Other art and tagged 3-D, art, body, health, mind, thinking, three dimensional. pottery, walking.